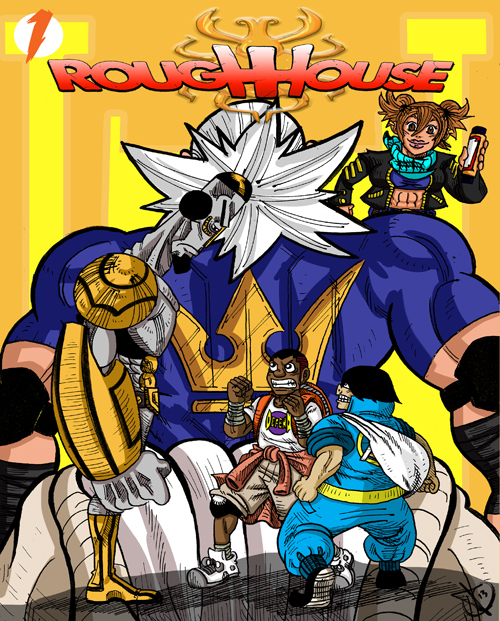 Rough House is an ambitious indie/webcomic project from Jordan Cook and he’d like you to check it out. Prints have recently become available for purchase and you can check it out at www.roughhousecomic.com. 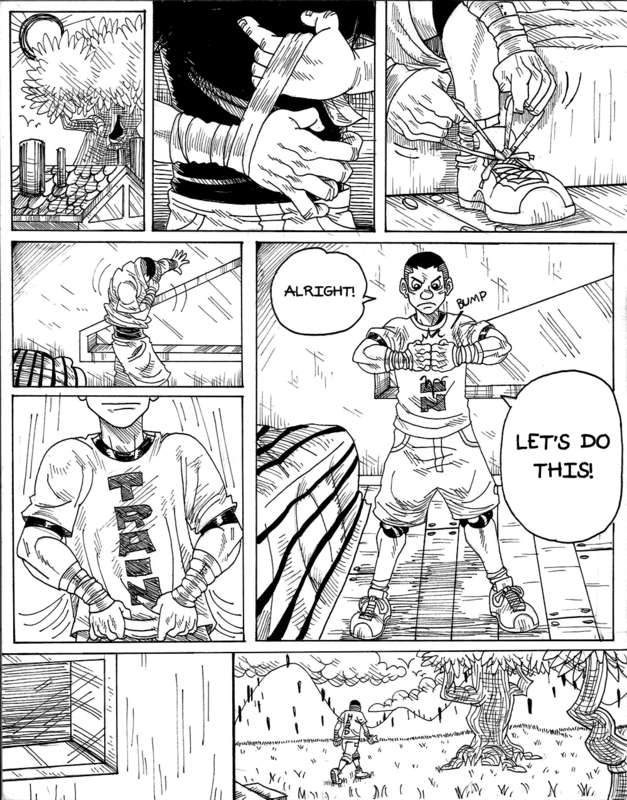 This page shows the main character, Flint, preparing for his daily training regiment. 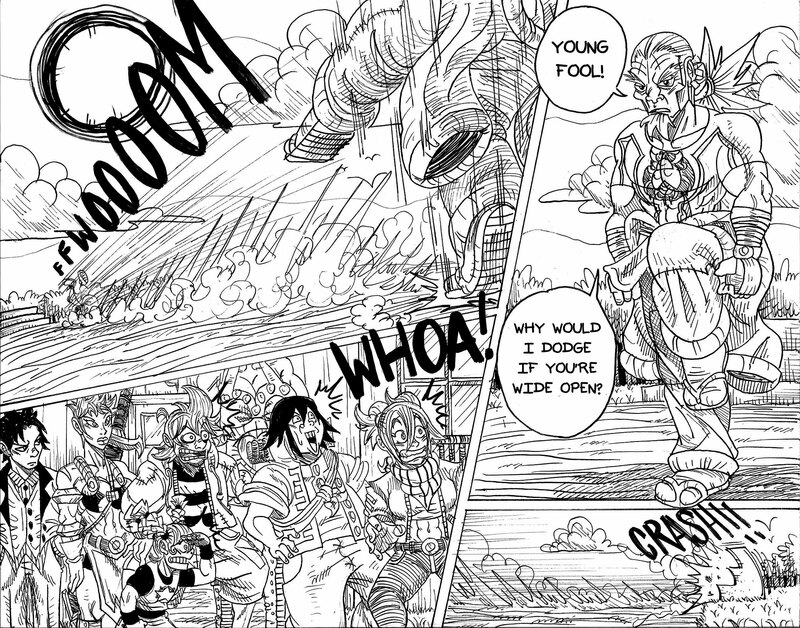 I like this page because of the classic pacing, and the fun I had drawing it. I also enjoy Flint’s shirt! It also establishes an aspect of Flint’s personality. 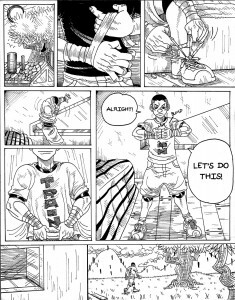 He’s a determined young man, disciplined to the point of stubbornness. 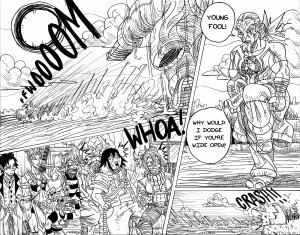 In this page, after accepting a challenge from his future disciple, Cobalt establishes his seniority as a fighter by sending Flint sailing with a powerful kick. 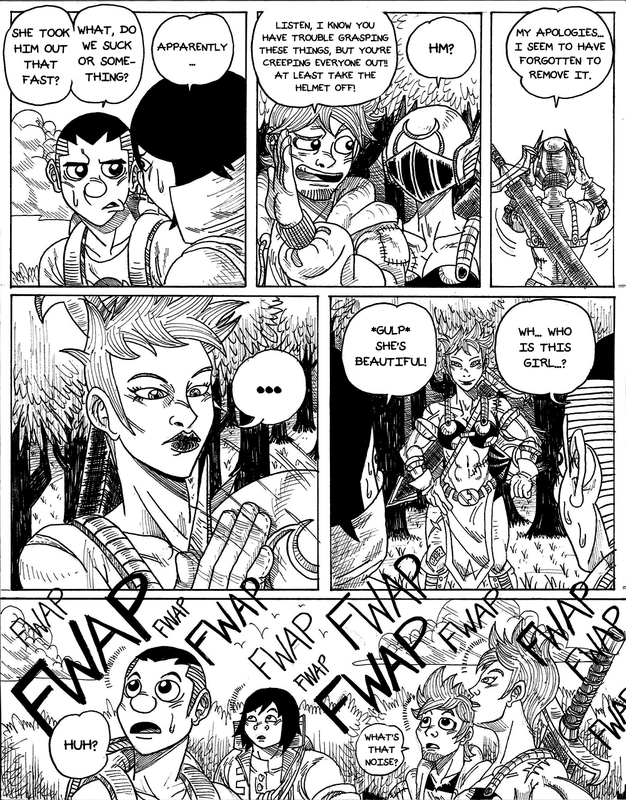 I like the angles here, and the details of the characters in the third panel. On top of that. Cobalt delivers a badass line! This entry was posted in Columns and tagged digital comics, indie comic, jordan cook, online comic, rough house, web comic. Bookmark the permalink. Follow any comments here with the RSS feed for this post. Post a comment or leave a trackback: Trackback URL.